The question of whether Rand Paul would follow suit was likely directed at him because of his well known position on marijuana. Paul is a libertarian and believes strongly in states rights. He believes the war on drugs has had an unintentional racial outcome and is in favor of medical marijuana. As part of Rand Paul’s response to the question of whether he will follow suit, he alluded that one of his fellow candidates at the debate had smoked pot. “So, 40 years ago, I smoked marijuana, and I admit it. I’m sure that other people might have done it and may not want to say it in front of 25 million people. 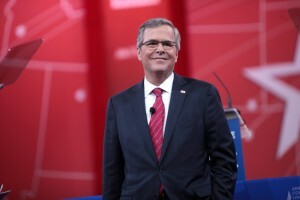 My mom’s not happy that I just did,” 62-year-old Bush continued. Bush said what goes on in Colorado is a state decision, alluding to the fact that he would not try to roll back those laws in the way Christie says he would. However, Paul was quick to remind Bush that he campaigned against medical marijuana in Florida. Bush insisted he was uninterested in putting people in jail for using medical marijuana and his issue was with the legislation, which had a huge loophole. With medical marijuana at the forefront of US politics, it’s important that candidates take this issue seriously. While candidates like Chris Christie and Carly Fiorina try to criminalize medical marijuana and paint it as a “gateway drug”, others seek to take the issue seriously and set up systems to get it to those who rely on it for some semblance of a normal life. With up to 16 States with referendums in 2016, marijuana reform will be a vital issue over the next year for both candidates and families throughout the US. This entry was posted in CBD In The News and tagged cbd, GOP, marijuana, mmj, pain. Bookmark the permalink.